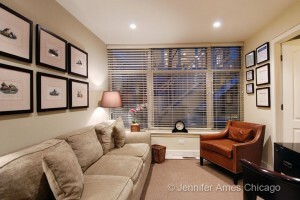 AVAILABLE JULY 1 rarely available 3 bed + den Lincoln Park end unit townhouse with incredible light and finishes! Absolutely stunning open layout main level with dark oak floors and floor to ceiling windows overlooks landscaped gated courtyard. Completely updated kitchen with custom cabinets, breakfast bar, granite counter tops, Wolf, SubZero, & Fisher Paykel appliances and Juliet balcony. 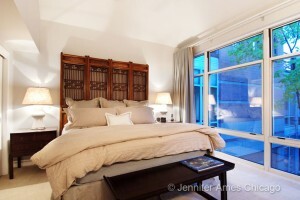 3rd floor features lux master bedroom with dramatic vaulted ceilings, and spacious 2nd bedroom. Spa like marble bath includes frameless steam shower, separate jet tub, heated floors and tons of counter space. 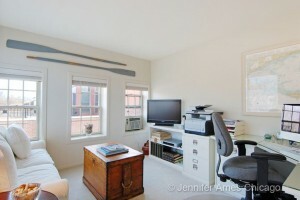 Top floor den/family room/office opens to large private floor deck with city views! Ground level fenced side yard and patio with private entrance, large marble foyer, 3rd bedroom and full bath. 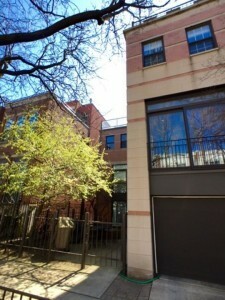 In-unit washer/dryer and attached over-sized 1 car garage + parking pad! 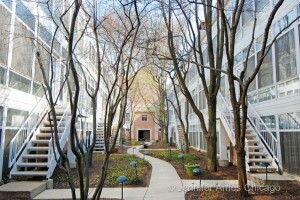 Fabulous location on quiet tree lined street steps to Armitage, restaurants, boutiques and public transportation!